Night vision monoculars, binoculars and goggles are devices that allow you to see in low light conditions by amplifying available ambient light. When the light enters the device through objective lens, it is focused on a phosphor screen which transforms it into a green picture (the human eye is very sensitive to differences in shades of green). In total darkness when not enough light is available, the Infra Red light illuminator can be used as it works like a torch and brightens the scene with IR light invisible to the naked eye but visible to night vision device. Although the night vision units are most frequently used by the military and law enforcement agencies, they are also available to civilian users. Well known brands producing consumer/commercial night visions are Pulsar, Cobra Optics, Yukon, Luna Optics or Bushnell to mention just a few. 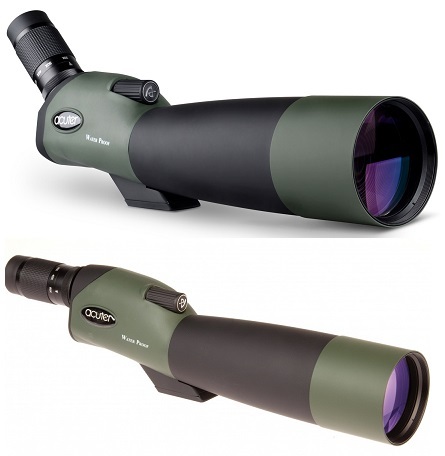 You can choose among night vision binoculars which are great for long term observation and give true depth of field, enabling the user to judge distances more accurately, compact and convenient to use night vision monoculars with only one eyepiece and night vision goggles with head mount for comfortable hand-free viewing as well as accessories like night vision flashlights or NV riflescopes. The night vision devices are irreplaceable companions for casual or professional nocturnal wildlife observation, home or professional security, night navigation, rescue and emergency services.